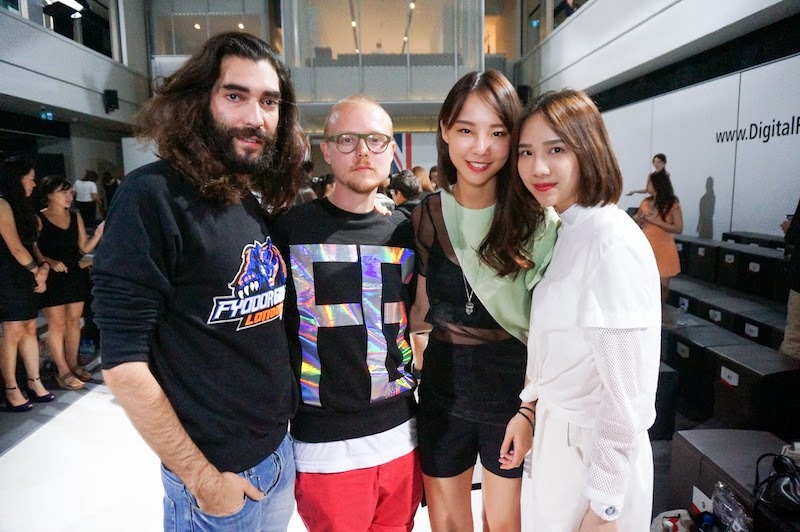 Bringing you all back to Digital Fashion Week dated 2014. I was wearing another piece from our Malaysia local designer, Beverly. Here are just me and some DFW Insiders hanging out between the shows. 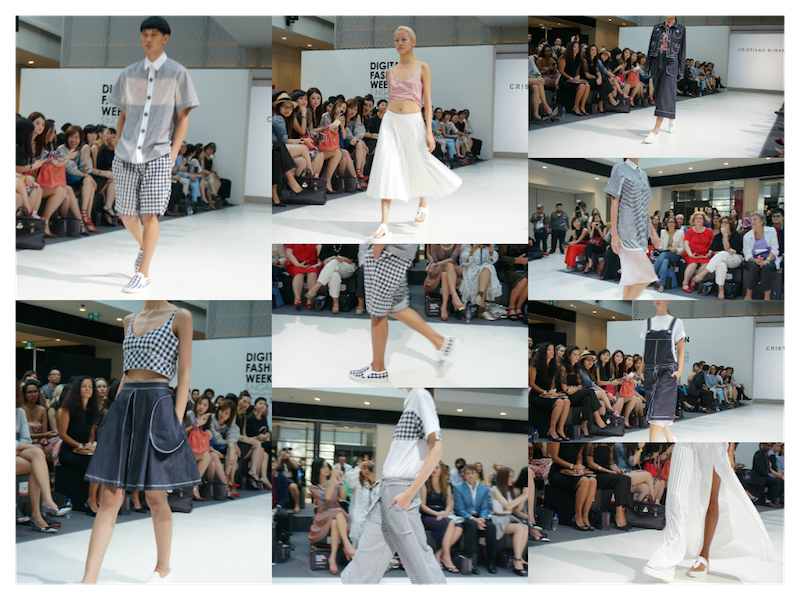 Day 5 of DFW marked the finale showcases in Singapore. 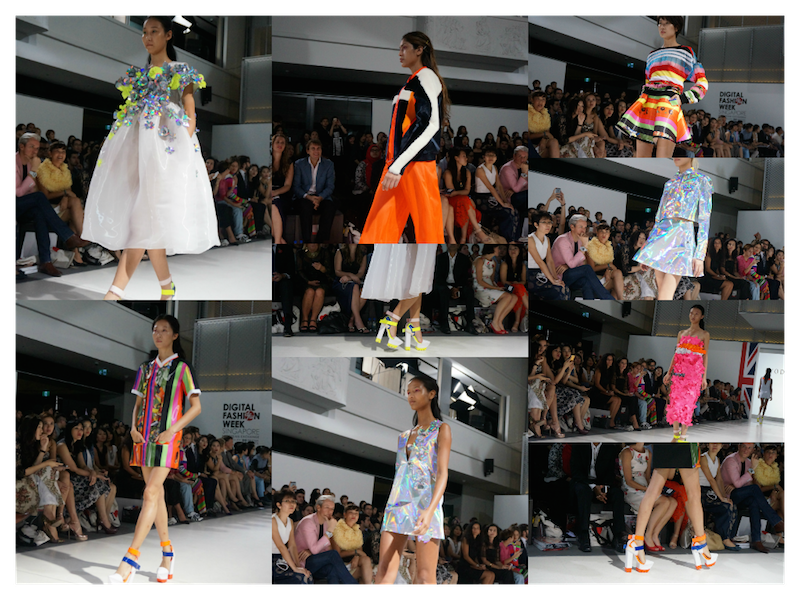 Guest designers Cristiano Burani from Italy and Fyodor Golan from London have well presented their Spring Summer collection. 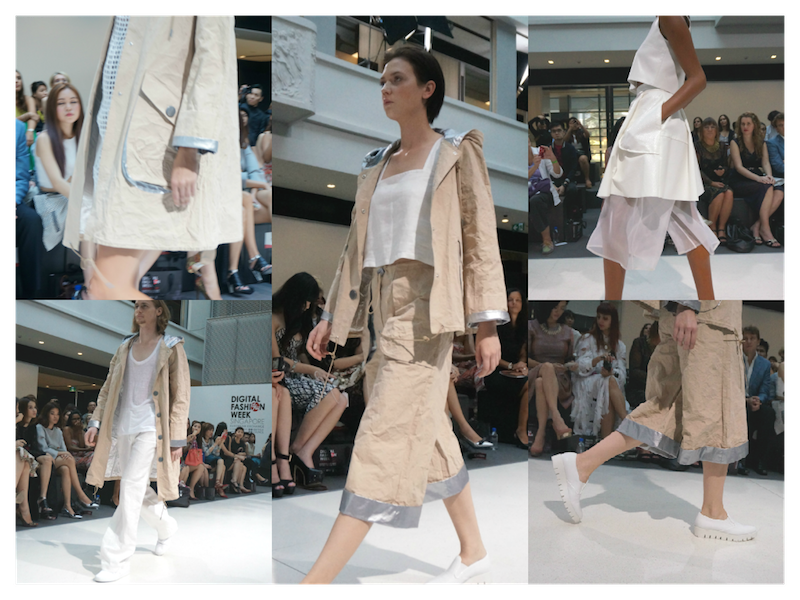 Christiano Burani’s SS15 gave an overall impression of casual sporty wear to chill by the beach. His effortless styling with gingham checks of the 60s, loose silhouettes of pencil skirts and midi dresses with see through fabrics and his essential summer accessories – flip flops and nylon backpacks have very much won my heart for the perfect summer looks. 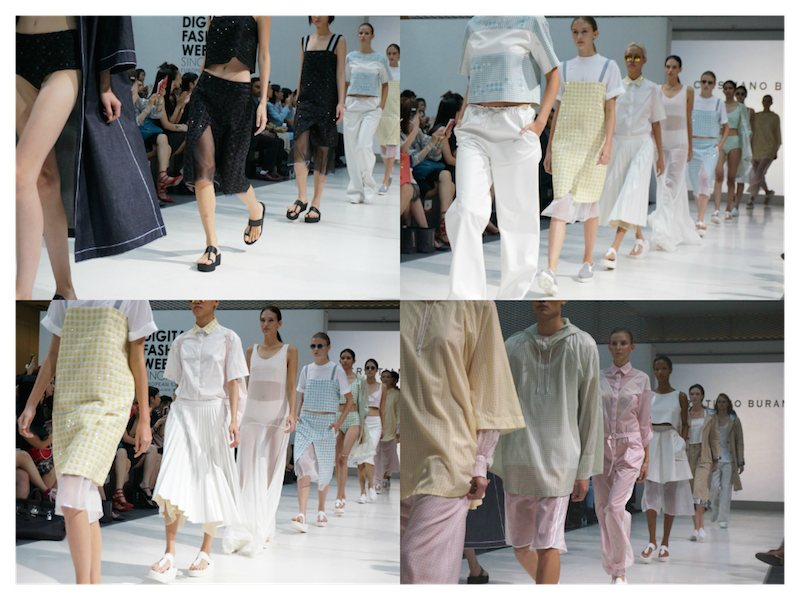 The closing show of Fyodor Podgorny and Golan Frydman was definitely one to watch. 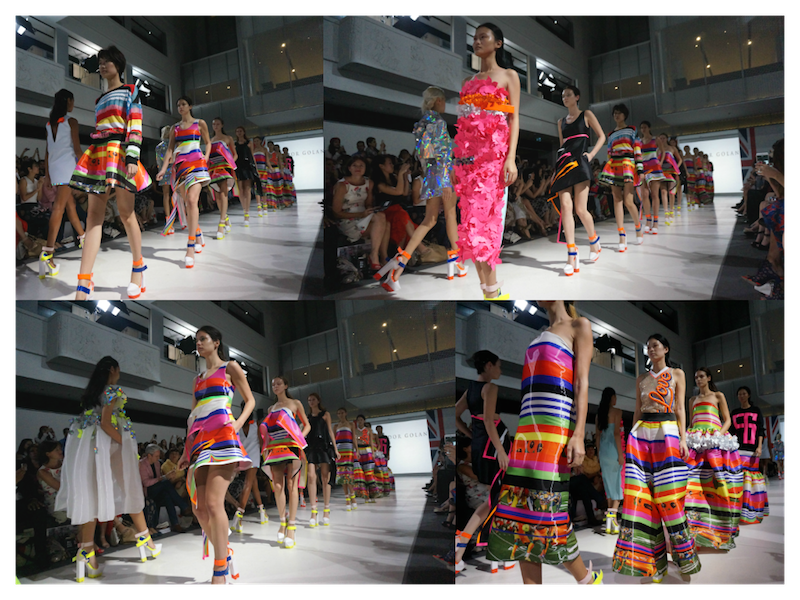 The collection has embedded a strong youthful character with colour busting and digital prints and silhouettes. There were exaggerated full frocks in embellished plastic floral appliqués and short geometric dresses making it the highlight of the collection. 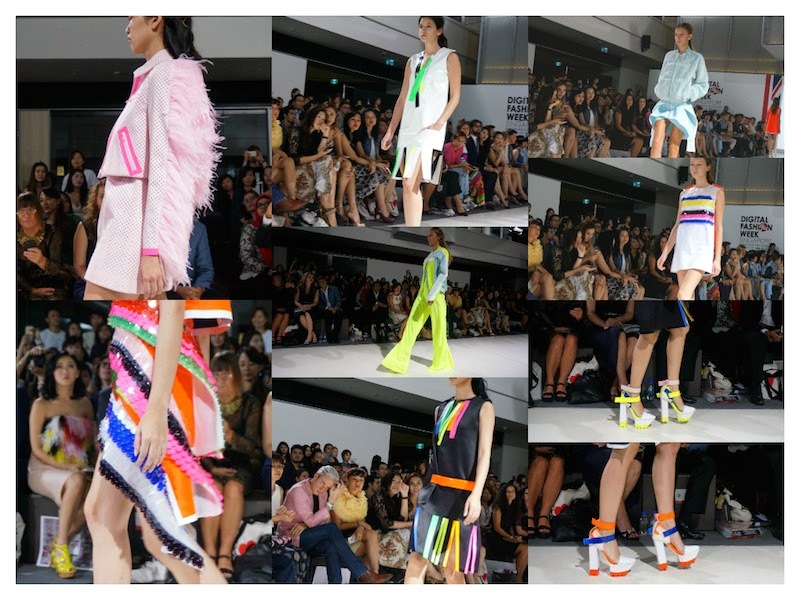 Paired with every single outfit came digitally structured high platform shoes in multicolours, which I absolutely adored. 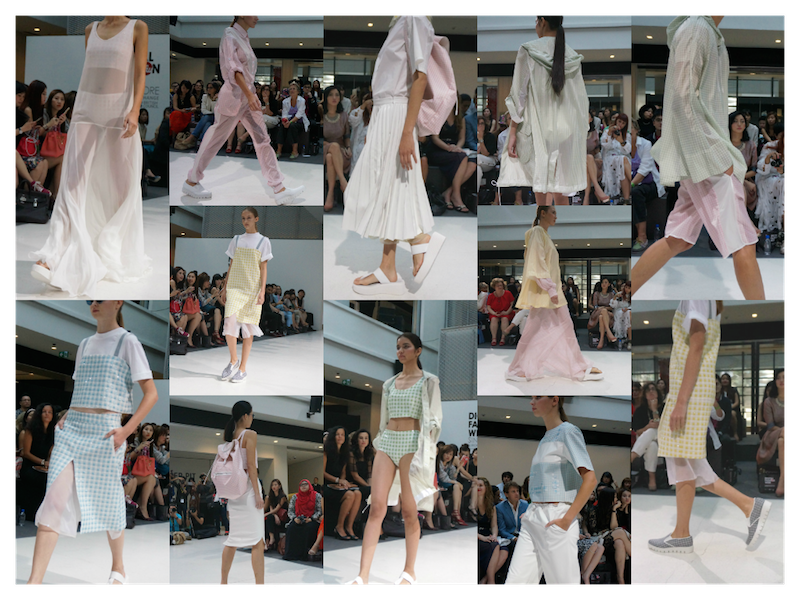 Thank you Digital Fashion Week Singapore team for such a wonderful experience. There are more upcoming posts of DFW in Bangkok, stay tune.